Supermarkets, greengrocers, farmers markets, flea markets, road side stalls - everywhere we turn we can buy fruits and vegetables. We love nothing better than to debate the relative merits of shopping in one outlet versus another, saving a few pennies, believing that there are quality differences based on where we shop and so on. And as an industry, we keep on scratching our head as we debate how we can add more value to the fruits and vegetables we produce and market. Its time we take a closer look at our Japanese neighbours and study the concept of theJapanese Fruit Boutique. The fact that the Japanese culture views fruit in a different context than European society does is not exactly news. We have been aware of this for some time. Perfectly shaped, coloured and tasting fruit is given as presents and plays a role during religious festivals. And when TV stations or newspaper are experiencing their 'summer holes', they often like digging up these differences in a 'tz, tz, tz' or sensational kind of way rather being constructive or objective about it. Obviously not all fruit produced in Japan lends itself to being sold in upmarket fruit boutiques. But some clearly does. 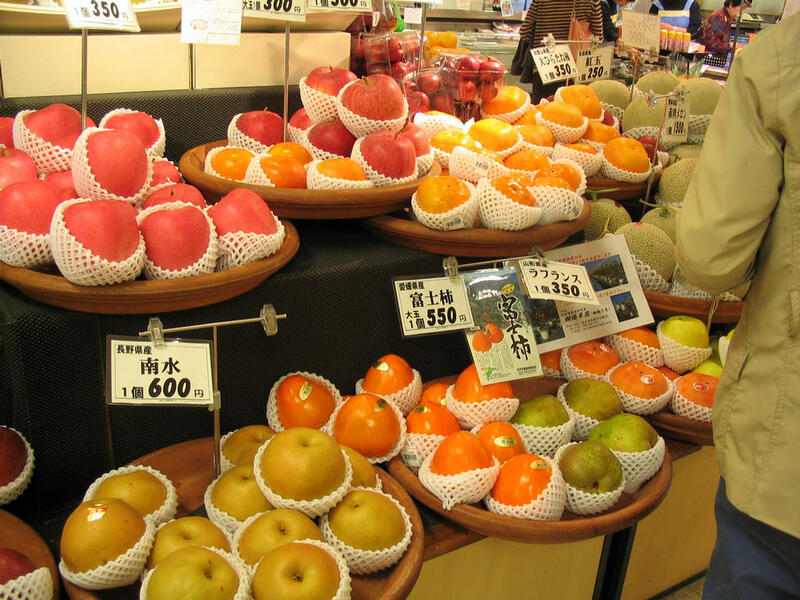 600 Yen for a piece of fruit equates to US $5.85 (3 August 2014). It is very clear that the Japanese fresh fruit market is far more segmented than its counterparts in Europe, New Zealand, Australia or the US. Whilst we are busy discussing how we can get out of the commodity trap and find ways to add value to the produce we grow, Japanese orchardists manage to achieve premium prices for a percentage of their commodity produce by investing extra labour, time and care and produce what theconsumer wants. Without wanting to distract from the efforts put in by those orchardists, their success is dependent upon the values of the society within which they operate. If the gifting of fruit would not be accepted behaviour, the market opportunities for premium fruit would be considerably reduced. Obviously not the Japanese Fruit Boutique way as far as religious festivals are concerned. I can think of one aspect of fruit gifting that is part of Kiwi culture - taking a bunch of grapes into hospital with us when we visit sick family or friends. We used to take hothouse grapes with us - when we were able to get these. There are not that many of them around any more. It took some effort to grow hothouse grapes and when the fruit import regimes where liberalised in the 1980s, outdoor table grapes from Australia, California and Chile started to flood the New Zealand market and made it very difficult for hothouse table grape growers to survive. We need to make a start somewhere though - and I reckon it should be with a fresh fruit dessert culture. 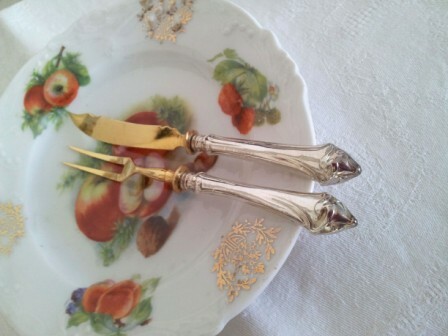 I recall when I grew up in Germany, the kitchen arsenal included fruit plates and fruit knifes - the message being that eating fruit at the end of a meal was a regular enough activity to warrant dedicated plates and cutlery. And IF we served fruit as a dessert after an excellent meal, we would want the fruit to be unblemished and ripe to ensure the fruit experience complemented the meal at large - something we surely would be prepared to pay a premium for? It might be a while before we see a Japanese Fruit Boutique popping up in Queen Street though - but its worth a thought, is it not?